Passionate, humanistic and enormously powerful, Mauritanian director Abderrahmane Sissako’s Timbuktu was nominated for Best Foreign Language Film at the 87th Academy Awards and screened in competition for the Palme d’Or at Cannes Film Festival 2014. To mark its opening at the IFI we have a fantastic bundle of auteur dvds to give away together with a Timbuktu poster, courtesy of the film’s distributor Curzon/ Artificial Eye. Not far from Timbuktu, Kidane lives peacefully in the dunes with his wife Satima, his daughter Toya, and Issan, their twelve-year-old shepherd. In town, the people struggle under a regime of terror imposed by invading Jihadists determined to control their faith and threaten their way of life. Music, laughter, cigarettes, even football have been banned and every day the new improvised courts issue tragic and absurd sentences. Kidane and his family are being spared the chaos that prevails in Timbuktu, but their destiny changes when Kidane runs foul of the foreign occupants and is confronted by their merciless new laws. 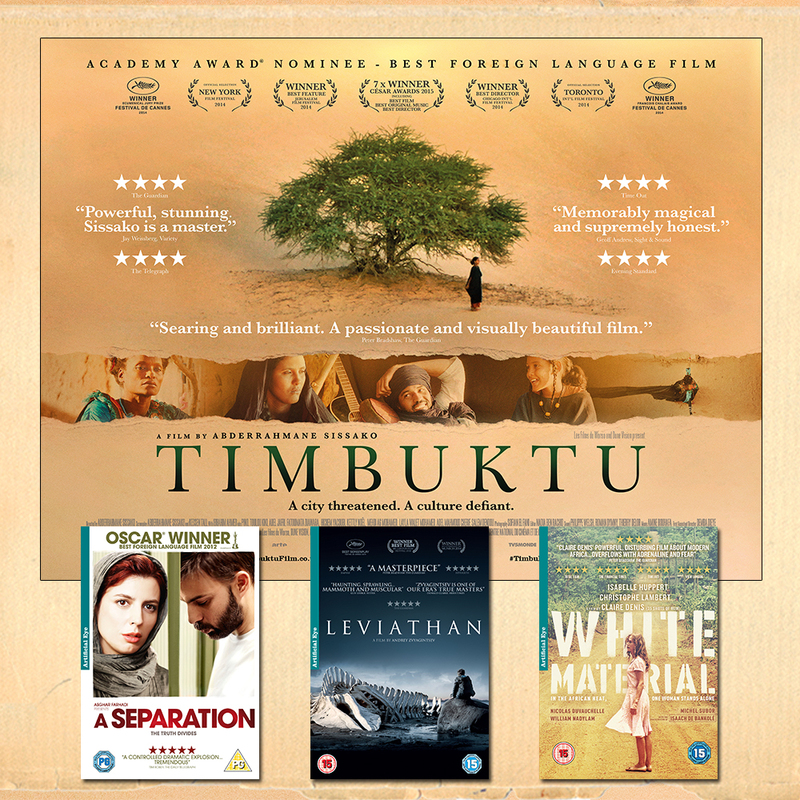 Based on the forceful takeover of Mali in 2012, Timbuktu is at once searing and poetic; an extraordinary fable about the dangers of religious extremism that also conveys the rich cultural heritage of the Malian people. To enter, simply answer the question below and we will pick a winner on Thursday June 4th.